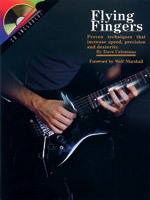 This book/CD pack offers clear demos of techniques proven to increase speed, precision and dexterity. 32 examples cover arpeggios, different picking techniques, melodic sequences, and more. The CD demonstrates each technique at three speeds: slow, medium and fast. When you hear the term �Gospel Banjo,� many assume we are talking about tunes you hear at every bluegrass festival-tunes in the Southern Gospel tradition. While these definitely make for good banjo fare, Eddie sought to cover new ground, of the 40 popular songs included, nearly 20 of them have not been previously arranged for banjo, plus lyrics have been placed below each melody note to give the player a sense of when to stress notes in order to bring out the melody above the fill-notes of the rolls. Each song is played on the enclosed CD. 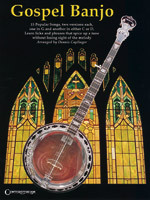 These 40 Gospel Greats for Banjo are both enjoyable and inspirational. 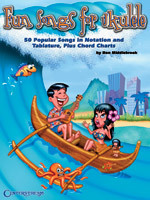 50 terrific songs in standard notation and tablature for beginning to advanced ukulele players. Includes Hawaiian songs, popular standards, classic Western, Stephen Foster and more, with songs such as: The Darktown Strutters Ball, I'm Always Chasing Rainbows, Hot Lips, Gentle Annie, Maikai Waipio, Whispering, Ja-Da, China Boy, Colorado Trail, and many more. Also includes a chord chart and a special section on how to hold the ukulele. 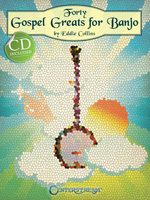 Features 15 spiritual favorites, each arranged in 2 different keys for banjo. Includes: Amazing Grace, Crying Holy, I'll Fly Away, In the Sweet By and By, Just a Closer Walk with Thee, Life's Railway to Heaven, Nearer My God to Thee, Old Time Religion, Swing Low, Sweet Chariot, Wayfaring Stranger, Will the Circle Be Unbroken, more! A comprehensive study of normal and extended chords, tuning, keys, transposing, capo use, and more. 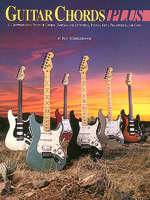 Includes over 500 helpful photos and diagrams, a key to guitar symbols, and a glossary of guitar terms.